The ProJet 860Pro is our most productive professional 4-channel CMYK full-colour 3D printer, featuring our largest build volume and highest resolution. 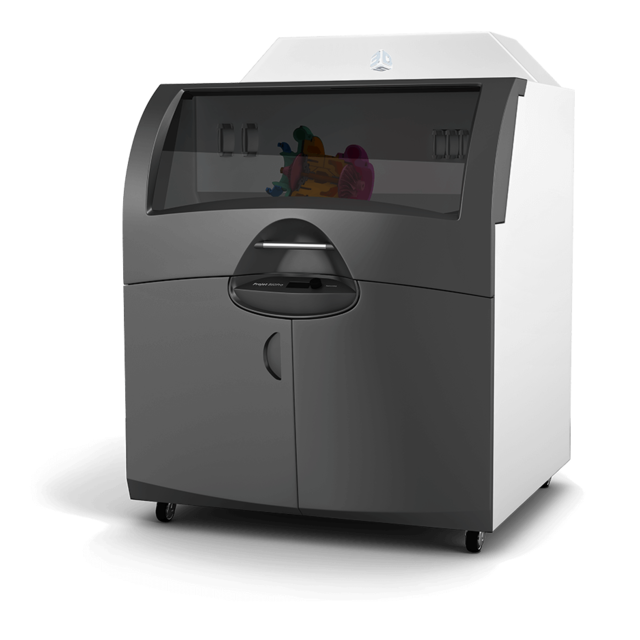 This Colour Jet Printing (CJP) system is the answer to professionals who need to create more and larger full colour models at every stage of design and development. Ideal for large architectural models, industrial moulds and castings, single-piece scale models, sculptures and more. The ProJet 860Pro has a maximum build size of 508 x 381 x 229 mm, with 5 print heads for vibrant, realistic colour printing. With print speeds of 5.1 – 152 mm per hour, you can create finished prints in hours, not days. With non-hazardous, eco-friendly materials, with zero liquid waste, this colour jet printer requires only minimal training and expertise to generate a consistent, satisfying output every time.